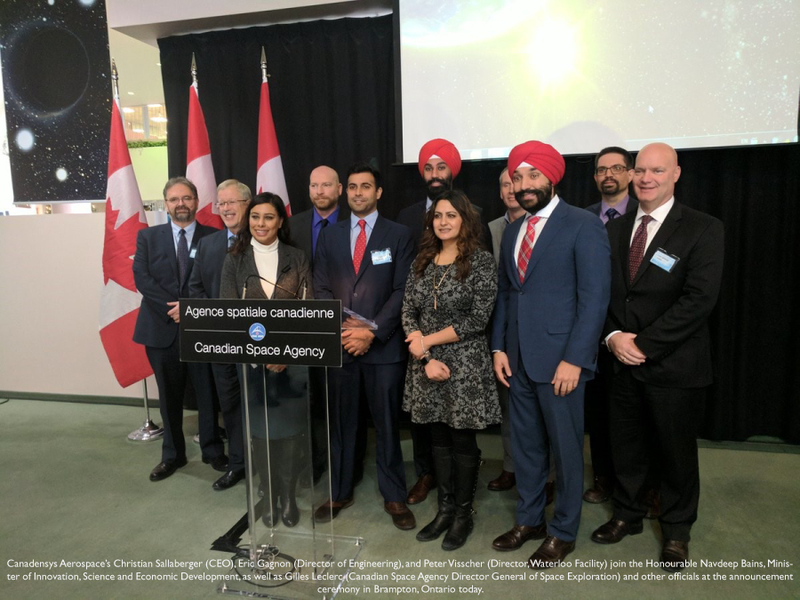 Federal Minister announces Government Investment in Space Exploration | Canadensys Aerospace Corp.
TORONTO, ON / 15 DECEMBER 2017 – The Honourable Navdeep Bains, Minister of Innovation, Science and Economic Development, today announced investments to prepare for the next steps in deep-space exploration. Building on Canada’s world-class technical leadership, some of these investments will pave the way for the development of innovative rovers that could be part of future missions on or around the Moon. Canadensys Aerospace, one of the firms benefiting from these investments, has been tasked to study two lunar rover types: a pressurized rover to transport astronauts on the Moon’s surface and a smaller rover that would first be sent to the Moon to collect lunar samples and test the technologies required for the pressurized rover.